We had a wonderful birthday celebration for Jennie at one of the best restaurants that cater to the gluten-free world. 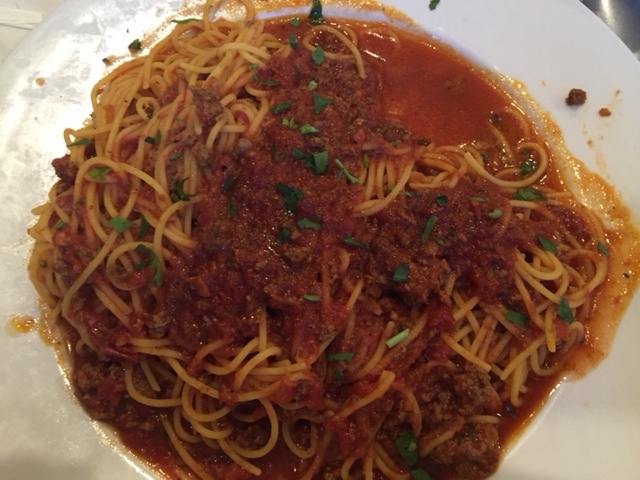 Da Luciano, an Italian restaurant located in River Grove, Illinois, has an extensive gluten-free menu. It has a lovely atmosphere and the food is delicious. 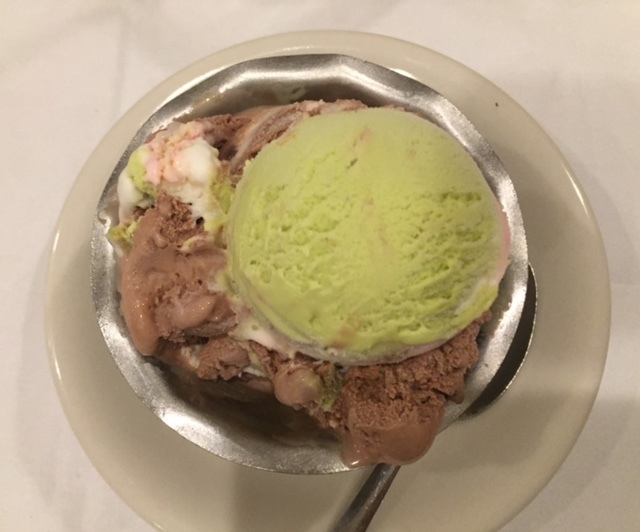 It is very rare that we can find decent-tasting Italian food, but Da Luciano has mastered the art of cooking Italian specialties gluten-free. We ordered a variety of appetizers: fried calamari, pizza bread, and fried mozzarella wedges. 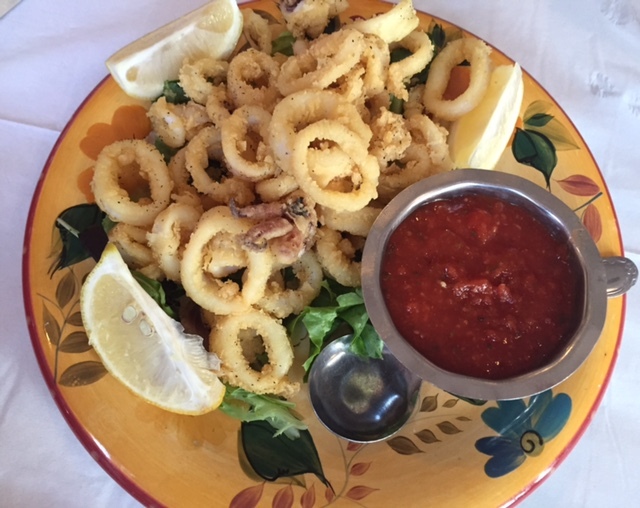 I personally do not like calamari and therefore did not try it, however all the calamari-eaters at the table loved it. 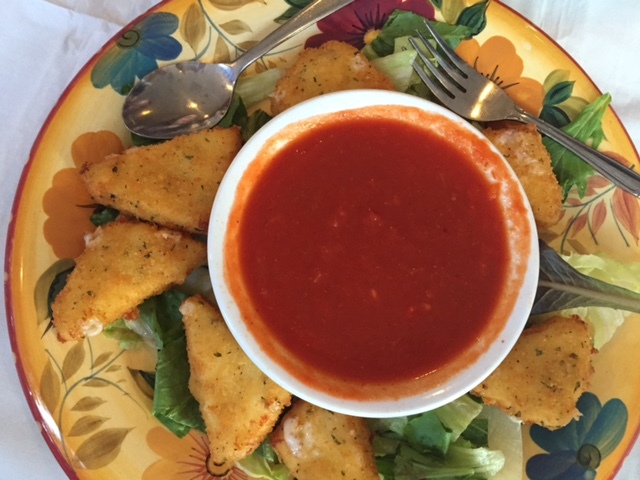 Judy and I enjoyed the pizza bread and the fried mozzarella wedges. You would never have known you were eating gluten-free appetizers; they were cooked to perfection and tasted amazing. There were nine of us at the table and five of us ordered off of the gluten-free menu for our main entrees. We first ate salads. I enjoyed the gluten-free creamy garlic dressing, it was quite tasty. 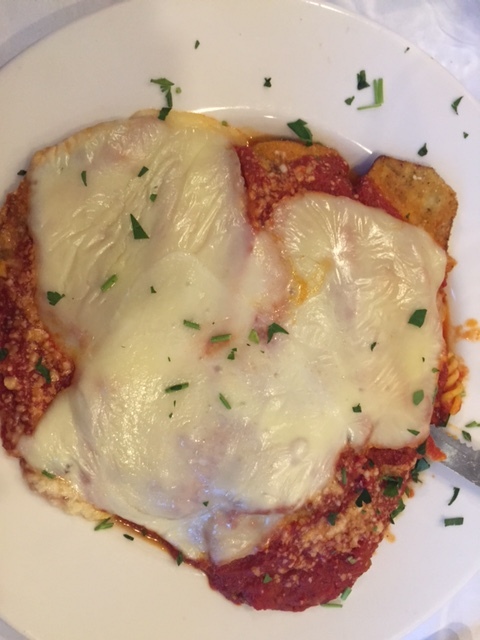 My sister and Mary G. ordered eggplant parmigiana, Judy ordered pepperoni pizza, Katie ordered spaghetti with meat sauce and I ordered veal parmigiana. 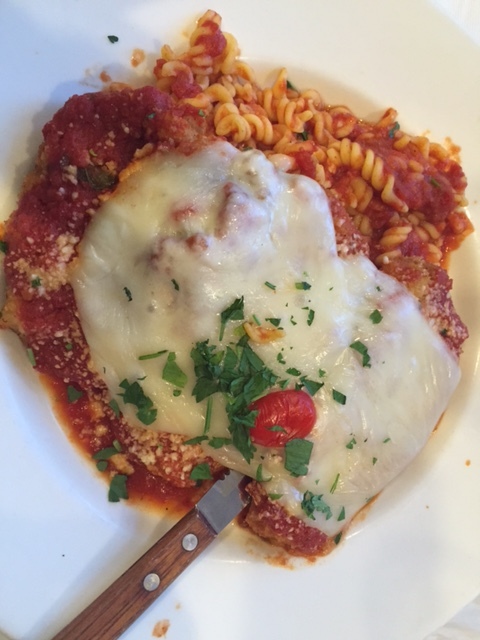 I tasted some of Jennie’s eggplant parmigiana and I have to say that both the eggplant and the veal were incredible. They were served with gluten-free rotini noodles on the side with marinara sauce. The server brought the girls gluten-free garlic bread to eat with their meals and they were so happy. The dinner was outstanding. 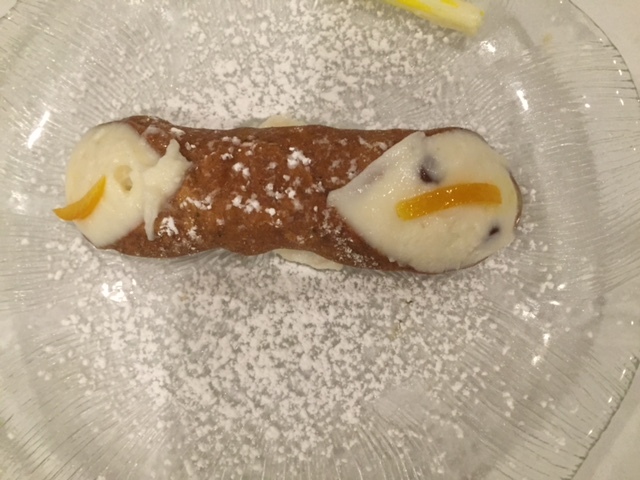 For dessert, I tried the Italian spumoni, Jennie had a birthday homemade cannoli, Judy and Katie both ordered cream puffs, and Mary G. sampled the tiramisu. 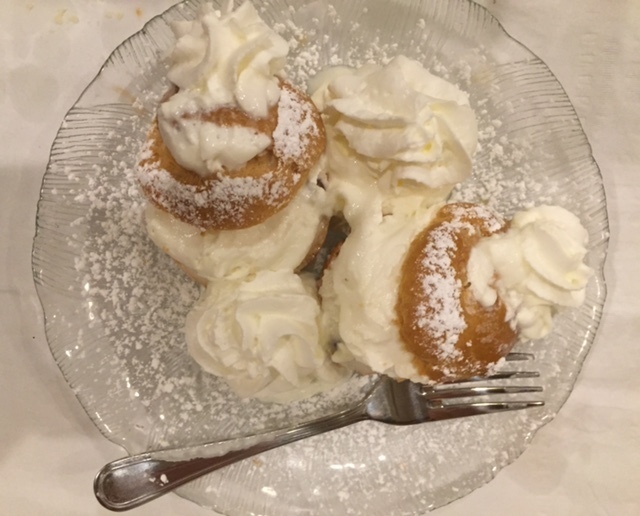 It was a quiet dessert time as everyone thoroughly enjoyed these delicious desserts. The smiles on the faces of Mary G., Judy, and Katie were truly priceless as soon as the server brought them their gluten-free desserts. They were in “gluten-free heaven”. I highly suggest dining at Da Luciano. You will not be disappointed; you will leave wondering when the next time you will return. 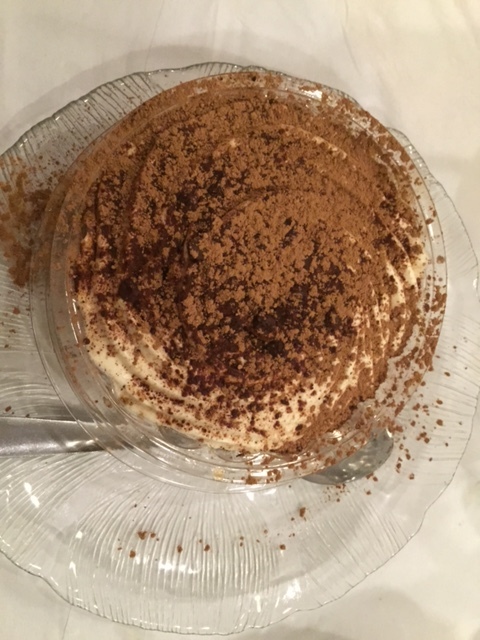 Thank you Da Luciano…thank you for the amazing gluten-free birthday celebration that all could enjoy. Today is my birthday. I have never been one to hide my age or worry about getting older. My parents both died way too young, so my family celebrates every year! Birthdays are a time of reflection. I remember the wonderful birthdays I had as a kid. Mom always made our favorite meal for dinner. My favorite – both then and now – is pizza. 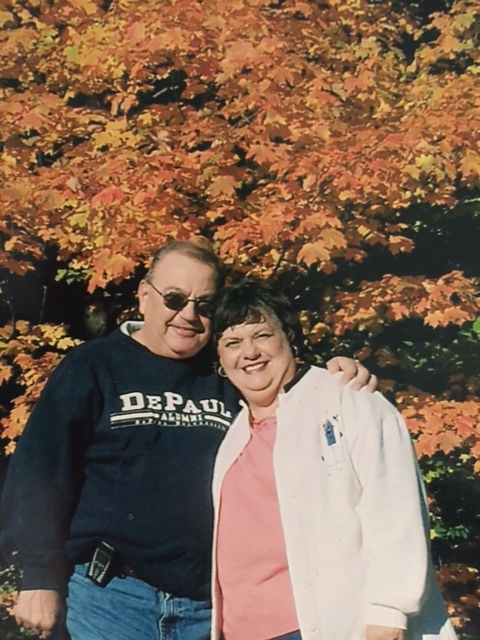 Mary and I were born in rural Georgia, and at the time it was not easy to find good pizza. My parents took my request on as a challenge. 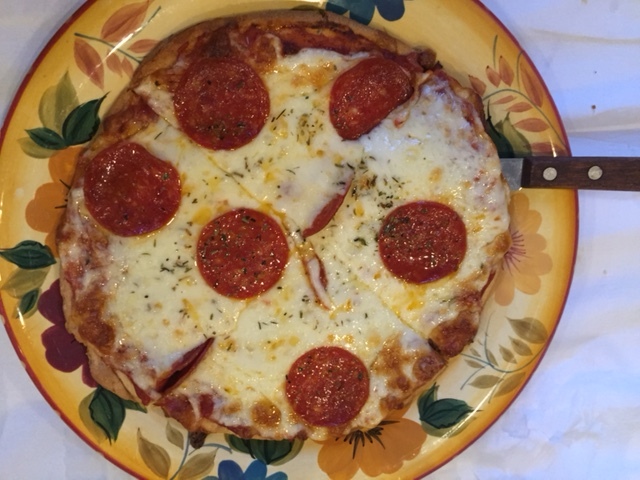 Over the years, they perfected homemade pizza. They made the dough and let it rise perfectly and cooked delicious sauce all day (pork sausage in the sauce is the key!). Dad topped the pizzas with vegetables he grew all summer in his garden. I appreciate the pizza they made me more now as a parent myself than I ever did as a kid. To think they simmered, stirred, kneaded, and baked all day in the hot early September kitchen amazes me. It was an act of pure love. Since my parents are sadly gone, I have tried to follow their recipe. I laugh every time I get to the part my Mom wrote down that says, “This is a big mess, but well worth the trouble.” I have to admit, it is tough. They were pros. Now that my children have Celiac Disease, making the dough gluten-free is challenging, but one of these days I will get it! Until then, my children enjoy their grandparent’s delicious sauce made from scratch and store bought gluten-free dough. Each and every time I make homemade pizzas I fondly remember my childhood birthdays. What are your birthday traditions?